Be the first to share your favorite memory, photo or story of Johnson "John" . This memorial page is dedicated for family, friends and future generations to celebrate the life of their loved one. Services for Johnson “John” Watley, 55, of Diana will be at 2:00 P.M., Thursday, April 18, 2019 at Grubbs-Loyd Chapel Diana, with Brother Tony officiating. Arrangements are under the direction of Grubbs-Loyd Funeral Home in Diana. Interment will follow at Walnut Creek Cemetery. He passed away on Monday, April 15, 2019 in Longview. John was born September 5, 1963 in Yuma, Arizona to William and Ruth (Colbert) Watley. He was an electrician at Luminant and was a veteran, having served in the Navy Reserves. 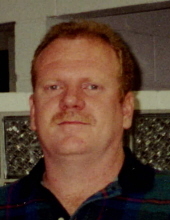 John is survived by his wife: Angela Watley, mother, Ruth Watley, step daughters; Whitney Phife and Chelsea Phife, brother, Marty Watley, sisters; Shirley Wick and Donna Crowder grandchildren: Haiden Dollison, Madison Schmidt, Kade Schmidt, Harley Wells, Kyleigh Wells and numerous nieces and nephews and aunts and uncles. The family will receive visitors on Wednesday, April 17, 2019, 6-8 p.m. at Grubbs-Loyd Funeral Home in Diana. To send flowers or a remembrance gift to the family of Johnson "John" Watley, please visit our Tribute Store. "Email Address" would like to share the life celebration of Johnson "John" Watley. Click on the "link" to go to share a favorite memory or leave a condolence message for the family.